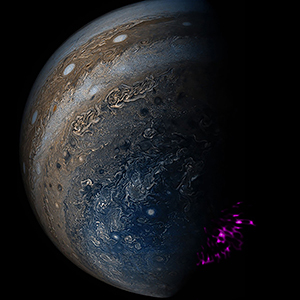 At the end of October a team of astronomers led by the University College London published a paper in Nature Astronomy reporting they had discovered that planet Jupiter’s northern and southern aurorae emit pulses of X-rays independently of each other. They made this discovery by analyzing data gathered by the ESA’s XMM-Newton and NASA’s Chandra X-ray observatories in May-June 2016 and March 2007. The astronomers observed that the X-ray emissions at the north pole were erratic and varied in brightness while the emissions at the south pole consistently pulsed once every 11 minutes. Essentially the aurorae were occurring separately from each other. This is far different from the more correlated activity displayed by the aurorae on Earth and other planets. The team found these results to be extremely surprising particularly since they are not predicted by current models of Jupiter’s aurorae. To generate the frequency of X-rays observed in these aurorae oxygen ions need to be accelerated to tremendous speeds so they collide with Jupiter’s atmosphere with so much force all their electrons get stripped off in the collision. The astronomers were puzzled as to what could possibly be driving such powerful accelerations. One idea they proposed is that Jupiter’s magnetic field lines vibrate, producing waves that transport charged particles (plasma) toward the planet’s poles. Scientists have already discovered that solar storms increase the activity in Jupiter’s aurorae. This proves there is a direct electrical connection between the Sun and Jupiter and it heavily affects the behavior of Jupiter’s aurorae. 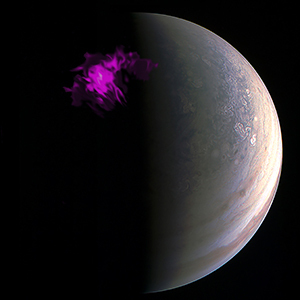 Yet astronomers continue to search for other factors that they think could have more of an influence on these aurorae and their formation, such as Jupiter’s own magnetic field. Perhaps if they would focus more on the Sun’s magnetic field and its obvious influence on Jupiter they could finally stop searching and finally start embracing the part the Sun and its electromagnetic forces play in our solar system.